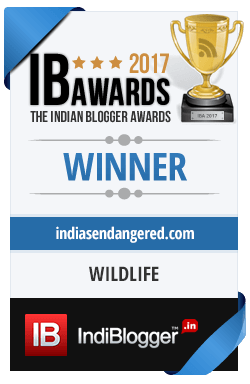 Since 2013 there have been innumerable proposals of starting a captive breeding centre for the Great Indian Bustard – a bird on the verge of extinction. While the breeding programme is yet to take off, the bird might just become the first species to vanish caught in inter-state politics and red tapism. 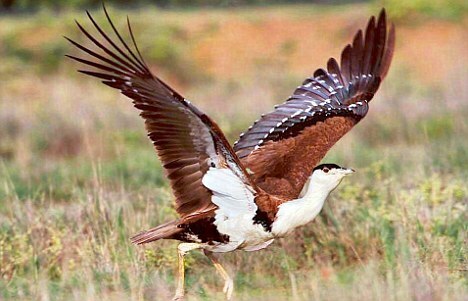 Rajasthan, Gujarat, Maharashtra, Karnataka, Andhra Pradesh and Madhya Pradesh are the six Indian states where the Critically Endangered bird Great Indian Bustard is found today. Up until 1969, there were reportedly more than 1200 of these grassland birds found in a much larger territory in the Indian subcontinent but now, less than 300 remain. To save them from impending extinction the Indian government declared Project Bustard in 2012 and in 2013 planned to create a national captive breeding centre for the Great Indian Bustard. It is now 2017 and the breeding centre for the bustards is still a plan on papers with the species population plummeting everyday. The Environment Minister Anil Madhav Dave announced this March that the centre would be soon coming up in Sorsan, Rajasthan with technical supervision from Wildlife Institute of India (WII). Sorsan, is 50 km east of Kota; a grassland habitat with a 35 sq km bird sanctuary with scrubby vegetation. The minister further added that the WII has received funding from the ministry to establish the breeding facility in partnership with the Rajasthan forest department. The forest department had provided list of 10 options out of which Sorsan was selected after much deliberation and consultation with Keith Scotland a noted bustard breeding expert from Houbara Breeding Center, Uzbekistan. On the face of it, this looks like a great initiative, but dig a little further or rather go back a few years into the history of such initiatives for bustard conservation, and you have some discomforting truths. It seems that the same announcement of a breeding centre to be set up for the bustard has been made at least 6 times since 2013, sometimes planned in different regions of Gujarat and sometimes in Rajasthan. The ministry had planned an expenditure of Rs. 8-9 crore for this project. This plan came right after an IUCN report that warned that the breeding programme by India should be done urgently as fewer than 200 bustards survived and time was against the Bustards. Read it here. – In December 2015, it was announced yet again that the breeding centre for the bird would come up in Gujarat in the Mandvi region. The ministry this time did not plan to breed the bustard entirely under captivity, but envisaged that about 25-50 eggs would be collected from wild habitats over a period of five years. These eggs would be incubated, hatched and their chicks would be reared to achieve a breeding population target of 50-100. The union environment ministry during that time approved a budget of Rs.33.85 crore for the project. While Rs.81.7 lakh was sanctioned for Rajasthan, Maharashtra was to receive Rs.1.38 crore and Gujarat’s share of Rs.1.10 crore was still under process. The panel of government officials and experts chose Gujarat as the proposed site for the bustard breeding programme although in India, Rajasthan has the highest population of approximately 100 bustards, because they believed the wetlands and grasslands of Gujarat near the Mandvi region supported such a project better than areas in Rajasthan. Apparently, Rajasthan had strictly opposed the choice of Gujarat for the breeding centre. It also went one step further by refusing to send bustard eggs collected from the wild to be sent to Kutch for the breeding programme. The central government heard Rajasthan’s plea and scratched the idea of opening the centre there but Gujarat was still given Rs. 14 lakh for other conservation measures. An informal census found 6 bustards in Gujarat in 2015, a steep drop from 48 recorded in 2007. The ministry reiterated that an amount of Rs 33.85 crore for five years for the programme – ‘Habitat Improvement and Conservation Breeding of Great Indian Bustard: An integrated approach’, had been sanctioned. Thus, in the last four years, there have been many claims, many plans, many announcements that suggest that the Bustard’s fate is being reversed in India. On papers, various plans have been initiated to start a captive breeding centre that would ideally ensure that the bird’s population can steadily escalate. However, inter-state tiffs over who gets the ‘breeding rights’, indecisiveness of the policy makers, and negligible scientific data, all point to a totally different and dark scenario for the Great Indian Bustard. Importantly, a new study by Dolman and team in 2015 said that the species’s population dynamics suggested that establishing effective in situ (in their natural habitat) conservation measures within the next 10 years and not removing eggs from the wild would recruit more adult females to the wild population within 30 years than a programme of captive breeding and releases. Among all the things that have been said over the years, the ground reality for the majestic bustard remains unchanged or rather worse than before. The visible lack of action even has the Superme Court worried now that recently asked the centre’s response to a PIL filed by conservationist Vidya Athreya and others, seeking measures, including framing of a national policy, to save endangered wildlife species like Great Indian Bustard and Snow Leopard. Excessive hunting, loss of grasslands due to intensive agriculture and industries, attack from feral dogs are few of the big problems that the bird is facing today in its present range. It is not enough anymore to plan, but to begin executing orders and start protecting a species that needed urgent protection yesterday. If the proposal of forming a breeding centre in Sorsan too is mere words, the Great Indian Bustard might just be on the path to becoming the first species of modern India to be extinct because of red tapism. 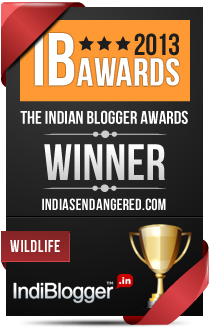 Read More: Can India Save The Great Indian Bustard?